Contact us to retag your old RedKings Poker account to maximize your rakeback at Microgaming Poker Network. To correctly set up your new RedKings account you must uninstall any existing RedKings software and clear cookies. Check the browser icons for more details. Click the "Download Now" button to start. You'll be taken to RedKings website to download the poker software and create your new RedKings account. Please send us your RedKings Username you registered at previous step. RedKings Poker is one of the oldest and most reputable European poker operators, being the flagship of former Ongame Network. The company with headquarters in Cyprus has been launched in 2006 and since then continues to deliver quality services to its clients, covering several sectors of gambling industry: online poker, sports betting and casino. According to our RedKings Poker Review, the company has migrated to Microgaming Poker Network after exiting Ongame in October 2016. Since then, it has become one of the most interesting skins of MPN, with great promotions and benefits for players worldwide. By registering through RakeAdvisory, you will have the chance to get the best available RedKings Poker Rakeback at Microgaming Poker Network. RedKings is licensed in Gibraltar and also has a gaming license issued by Maltese Gaming Authority. The company has proven to be one of the most reliable global poker operators, with more than 12 years in the industry already. The website is available in more than 20 languages and serving players worldwide. Below you can see the main pros and cons for the MPN skin. An exclusive benefit of our players who register at RedKings is the participation into our special Rake Chase which rewards them with up to €2,000 cash prizes. Players participate automatically and win cash prizes based on their loyalty points performance. At the end of each month, prizes are paid into players' accounts. To be eligible to participate into promotion, new players must register using our links and be tracked to us. They will have the chance to get extra rakeback besides the Welcome Bonus and flat rakeback deal by playing their favourite cash games and MTTs and raking more. Check the table below to see the exact thresholds for the rake chase. Redkings Poker players receive 30% flat rakeback, the maximum VIP level possible within MPN. Players receive points and can change them into cash whenever they want. According to our RedKings Poker Review, the Cyprus based operator uses a 4 Levels VIP system which rewards players with up to 30% rakeback. For each VIP Level, an extra reload bonus is awarded. To be eligible to harvest it, players have to rake €5 for each $1 bonus increment, thus getting 20% rakeback equivalent until bonus is cleared. Below you have all details regarding the RedKings Poker VIP System. Nevertheless, as an advantage of working with RakeAdvisory, all our players will be boosted to the highest VIP Level, Kings Club, thus earning 30% flat rakeback, no matter how much they rake per month. The rakeback can be gained anytime, by exchanging points into cash. Of course, high volume rake grinders can get even more rakeback by participating into our exclusive private promotions, such as the €2,000 Monthly Rake Chase paid by RakeAdvisory. After registering poker account at RedKings, one can choose from 7 different first deposit bonuses. RedKings Welcome Bonus is up to €1,500 and is cleared in 10 equal increments. See table below for full details on welcome bonus. Each of the 7 available bonuses has a different RedKings Poker Bonus Code. Below you will get all the available details you need to decide which bonus to choose, depending on how much you estimate raking as well as how much you would like to deposit. RedKings Poker Bonus availability ranges from 30 days to 60 days, depending on the chosen bonus. Players who choose this bonus have to make their first deposit using bonus code: 50bonus. They will get the bonus released in 10 increments of €5 each for every €25 paid in rake. Therefore, the bonus counts for 20% rakeback. To harvest the whole bonus, players need to rake €250. The €50 bonus is valid for 30 days. This bonus is suitable for players who estimate they will rake €500 in their first 30 days of play. To receive it, they have to make their first deposit with bonus code: 100bonus. The bonus is released in 10 equal increments of €10 and counts for 20% rakeback. The €200 Bonus is offered for players who choose the bonus code: 200bonus and can be fully released after raking €1,000 during their first 30 days of play. The bonus is cleared in 10 chunks of €20 for every €100 paid in rake. Players who make their first deposit with bonus code 400bonus will get €400 bonus in 10 equal steps of €40 for every €200 paid in rake. Players who want to harvest the whole bonus have to rake €2,000 in 60 days. This bonus is awarded to players who make their first deposit using bonus code 700bonus. It is released in 10 equal increments of €70 for every €350 paid in rake. The bonus is valid for 60 days and players have to rake €3,500 to clear the whole bonus. For this bonus, you need to use the bonus code: 1250bonus and will get €125 cash prizes in 10 steps for each time you rake €625. The bonus is available for 60 days, period in which you need to rake €6,250 to harvest the full bonus amount. The maximum bonus amount offered within the Welcome Package is the €1,500 bonus which can be obtained by depositing using bonus code: 1500bonus. Players will get €150 in 10 equal increments for every €750 paid in rake. To harvest the whole bonus amount, the rake requirement is €7,500. The bonus is valid for 60 days. Besides our challenging and exclusive private rake chase promotion, the European poker room also hosts some very exciting promotions aimed to add more adrenaline for recreational players and extra rakeback to grinders worldwide. Below you will see the updated promotions which currently run, according to our RedKings Poker Review. 10 days achievements challenge is a set of 10 challenges that begin right after the player has registered his new RedKings account and last for 10 days. In this time frame, by completing the challenges, players have the chance to win free cash prizes and tournament tickets. For instance, if they play 25 raked hands from their mobile in a cash game, they will receive a €2 cash prize, while if they play 2 MTTs with minimum buy-in of €1 they will receive another €1.1 MTT ticket which they can use, so they get chances for freerolling. The welcome package at Redkings also contain daily and weekly freerolls with guaranteed prizes for players of €10,000. 28 tickets of daily freerolls in total value of €1,400 are awarded to new players right after registration. Another 8 tickets in total value of €4,000 are offered for those who play at least 10 hands of No Limit Holdem to be able to qualify for the bi-weekly freerolls. Last but not the least, €4,600 total cash prizes are disputed every Sunday between qualified players who fulfill several requirements: play at least 10 NLHE hands with stakes of NL10 or higher, play a MTT with buy-in of at least €1 and play a Sit & Go. In the table below you will see the detailed benefits of New Player Freerolls. MTT Missions is a limited time promotion during November which rewards players who participate into at least 5 weekly tournaments with a free ticket to the special Sunday Final MTT. The week is counted from Monday to Sunday. In the table below you will see an example of eligible tournaments to be played to automatically receive the free Sunday ticket. Points Per Day is an excellent way for cash games players to get rewarded with extra cash prizes and additional rakeback. Eligible players have to earn at least 300 loyalty points during at least 5 days within a week. This is equivalent with at least €30 rake generated each day at the tables. You need at least 5 qualifying days per week to earn the cash prizes. Below you have the exact loyalty points requirements for each level as well as the cash prizes awarded. Some players might get boosted prizes if they have qualified as well during the 4 previous weeks. Check the table below for more details. MPN Poker Tour Tallinn is the main live event hosted by RedKings every year. It is an excellent choice to have fun and play a live tournament where you can win insane cash prizes. Players can participate into the €200,000 guaranteed Main Event which will take place between 24th - 27th January 2019 by playing satellites with buy ins as low as €1,10 which will start on 22nd of October. The main event package costs €1,500 and can also be bought with cash or loyalty points. Besides the €550 main event buy-in, it also covers travel and hotel costs, as well as the €110 side event entry. The tournament will take place in Hilton Tallinn Park Hotel. Below you can check the full details of the €1,500 package. Since the hotel room is already booked for two people, you can as well bring your friend, wife or mistress to join you. This is a great opportunity not only to play some relaxed poker live game, but also to have fun and socialize together with other people. As compared with other mainstream poker rooms, RedKings does not use any classical rake calculation methods. Instead, as part of Microgaming Poker Network, RedKings has also migrated to True Value Rake method, which has been introduced by MPN to improve the ecology of the network and add more incentives for recreational players. How does True Value Rake work? Basically, TVR or actual rake is a redistribution rake method which diminishes the rake amount for winning players and increases it for losing ones. Without any straightforward formula being released, it has been noticed on a decent sample that for winning players, TVR is less than real rake disclosed by poker trackers such as Holdem Manager 2 or PokerTracker 4, while for recreational players it can go above 100%. There are many fluctuations depending on several factors, but this does not affect players’ rakeback at all since all flat rakeback, bonuses and promotions are calculated from Weighted Contributed Rake. However, affiliates are still paid from True Value Rake, so it does have an impact on their earnings. Microgaming Poker Network, also known as MPN, charges between 2.5% and 5% rake or €0.01 for every €0.20 in the pot. Rake Cap Values fluctuate depending on the stakes and number of players. Below you have the exact rake charged for each kind of situation. Note: MPN charges €0.01 rake per each pot of €0.20. Therefore, this means that for a pot of €0.39 only €0.01 is charged as rake. Also, no rake is taken from pots of €0.19 or less. So in parcentages, the rake fluctuates between 2.5% and 5%. For tournaments and sit and gos, RedKings charges on average 5% for SNGs and about 10% for MTTs. Of course, to know the exact amounts paid, you need to check the lobby before registering into your preferred tournament. As of 1st November 2018, according to PokerScout, Microgaming Poker Network stands on the 15th place in online poker sites traffic leaderboard, based on data provided by the networks. MPN has a weekly average of about 450 cash games players with more than 700 at peak hours. In the same time, the network also hosts several MTT events for tournament players. From the above, the most popular games are Texas Holdem and Omaha. RedKings offers No Limit, Pot Limit and fixed limit cash games, as well as single and multi-table tournaments. No Limit Texas Holdem cash games are the most popular option at RedKings. They can be played in both 6-max or Heads Up format, but of course, most of the traffic comes from short handed tables. Players can join both regular and anonymous tables, but the second ones are more fishy. At RedKings, NLHE games can be found starting with NL2 up to NL10k. There are dozens of NLHE tables available at the micros, while at peak hours you may also notice around 8 tables per stake up to NL200. Daily action is also available at higher stakes, with 4 tables on average up to NL1K. PLO cash games are also offered starting from PLO2 up to PLO10k, but most of the RedKings traffic can be found at micro stakes. Decent action is available up to PLO600 on a daily basis, but especially during European evenings. Microgaming Poker Network is a good place to grind PLO games, since you can easily find up to 6 tables running for most of the stakes. SNGs are offered in several formats such as: Double or Nothing, Heads Up, Hyper Turbo or the Fish Party Spin and Gos. They are available for buy-ins ranging from as low as €0.01 up to €1,050. Multi table tournaments are also available in several formats from freezeout to rebuy or turbo MTTs. They are available on a daily or weekly basis for several buy-ins and guaranteed prizes. Special tournaments are also launched on occasions, depending on RedKings Poker Promotions. While RedKings accepts payments in several currencies, games are played in EUR. So in order to track your winnings and losses as well as handle your cashier, you have to use EUR currency. Players can make deposits and withdrawals directly via RedKings cashier. RedKings accepts several payment methods such as Skrill, Neteller, Visa, Mastercard, PaysafeCard, Western Union or Webmoney. RedKings offers one of the lowest minimum deposit requirements in the industry, accepting deposits as low as €10. Withdrawals are processed fast, within 24 hours for e-wallets and up to 3-5 business days for debit cards with some fees applicable for some payment methods. Below you can find more details regarding payment methods. RedKings has proven to be over time a reputable brand and reliable partner for gaming industry. Therefore, deposits and cashouts are safe and processed quickly. For any other questions or issues you might encounter, we advise you to contact RedKings support via email at [email protected]om or phone. The software is mobile responsive and can be accessed from iPhone, iPad or any Android device. This increases the chances of acquiring recreational traffic. The lobby is easily navigable, being structured in a user friendly manner, showing game options for players: fast forward/blaze, Holdem, Omaha and other games, as well as No Limited, Fixed Limit and Heads Up variants. RedKings also promotes casino from the lobby, together with Sit&Go and Tournaments. At RedKings, players are allowed to play 6 tables simultaneously. This is available for both cash games and tournaments. As part of Microgaming Poker Network, RedKings natively supports poker trackers. Therefore, both Holdem Manager 2 and PokerTracker 4 are allowed and players can use HUDs at the tables. However, they are only available for normal/regular tables and cannot extract data from anonymous tables which run HUD-free. VPN is not required for RedKings since players can join the Microgaming Poker Network skin from almost any country, with very few restrictions due to the online gambling legislation. Players who find themselves on the list above for restricted territories, should get in touch with us via email at [email protected] or skype: ID rakeadvisory to discuss alternatives for them to join Microgaming Poker Network. Usually, at Microgaming Poker Network, retags are possible. So if you’re interested to request a retag for RedKings Poker or other MPN skins like Betsson, Betsafe, NordicBet or RedStar Poker, simply send us an email at [email protected] with your old poker account credentials (full name, username/nickname, email used for registration) and we will process your request as soon as possible, notifying you via email of the result. 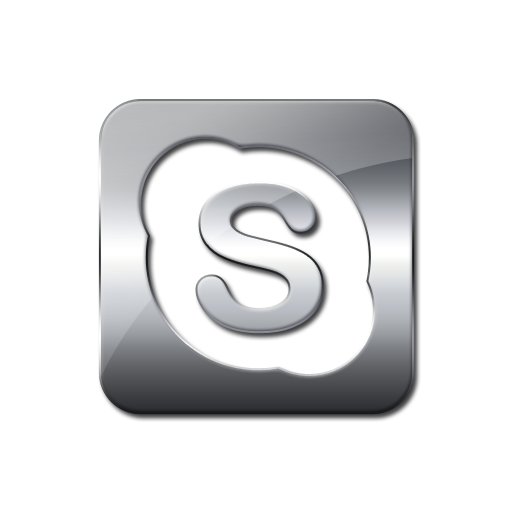 We also advise you to get in touch with our poker consultants on skype: ID rakeadvisory for faster communication.